Arguably one of the best loved stories in the world that is seen by more than 90 million people worldwide, Disney’s The Lion King and now the world’s best-loved musical returns to Marina Bay Sands for another run after the previous successful runs. A remake of the animation film by Disney is scheduled to premiere in 2019 with big name stars like Beyoncé and Elton John in the cast list. If you are looking to refresh your memories ahead of the film or even to familarise yourself with the story again, why not catch the Lion King Musical? The musical is running from now till 26 August（extended to 23 Sep), featuring a stellar cast of 51 performers, including veterans from the acclaimed London, Las Vegas, Australia and Hamburg productions. The show has garnered over 70 major international theatres awards and is brilliantly re-imagined by acclaimed director Julie Taymor, transforming Disney’s beloved film into a spectacular theatrical experience. Tickets are selling out fast – so get yours early before they are all sold out. What I really like is the artful puppetry, bringing the wild animals and the Africa Sahara to live right on stage in tropical Singapore. For a moment, you will feel as if you are in Africa, mesmerised by the beautiful storytelling, the drumbeats and dance choreography. Instead of lazily just doing a direct adaption and using mascot replicas of the iconic characters, the creative team behind the musical chose to bring the story to live with some very sophisticated puppetry and original scores, in addition to the original music by Tim Rice and Elton John. This is my first time watching the Lion King musical and the same for my son Asher. Both of us enjoyed it tremendously. So much so that after we got home, he asked me to play the movie again on Netflix so he can cross-reference the scenes! 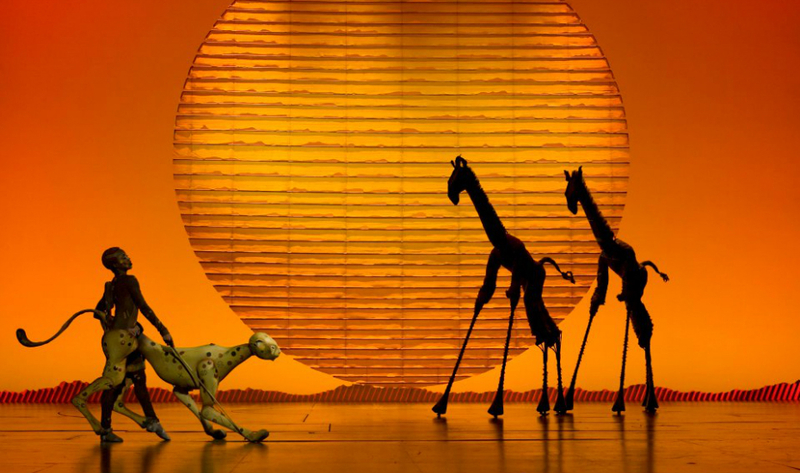 The Lion King musical is a great wholesome entertainment for the whole family, young and old. If you are interested to catch the Lion King musical, tickets are available online via SISTIC and you can visit the official website for more information.